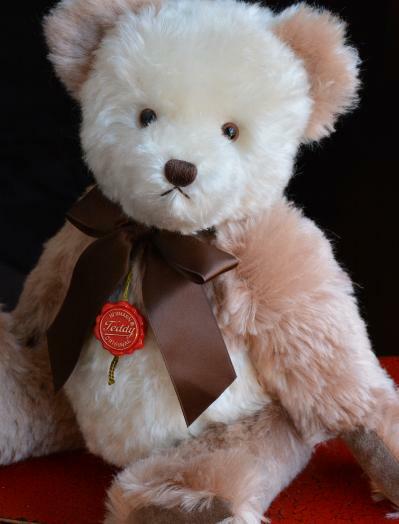 This gorgeous teddy bear is made in long, luxury white and rosé mohair. Teddy has a gentle growl when rocked. No.54 of 100. Long white and Rosé Mohair. Brown Stitched Nose and Detailing. Classic Black and Amber Eyes. (Safety).